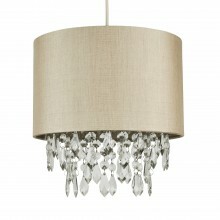 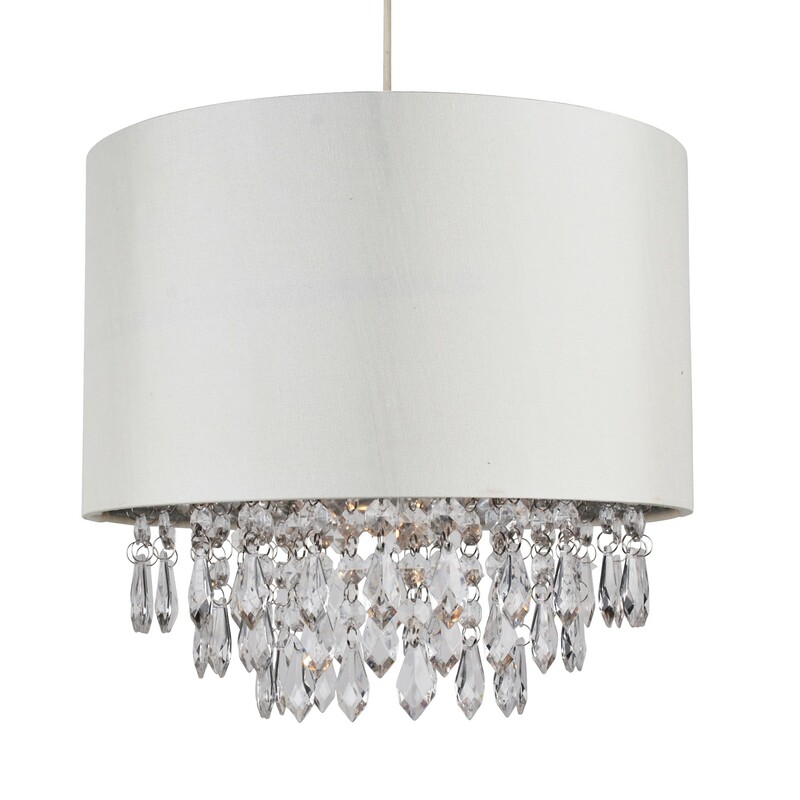 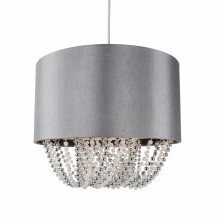 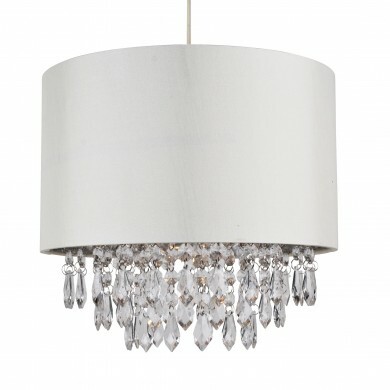 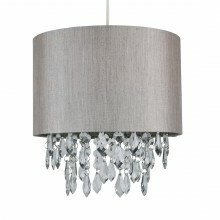 Create that designer look with this fantastic large easy fit ceiling light shade. 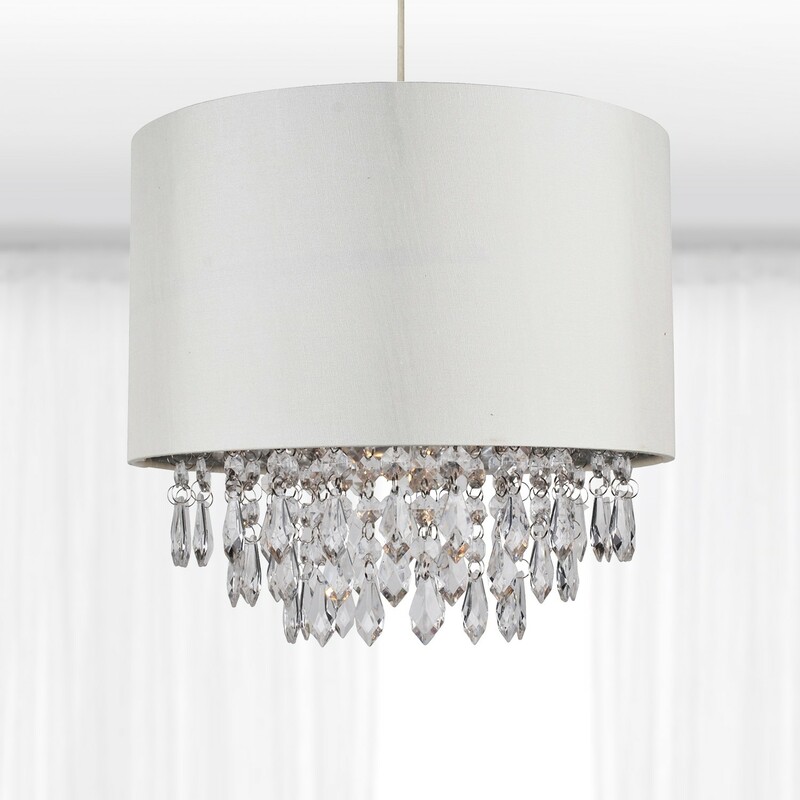 Cream faux silk fabric with chrome contrast inner complimented with three rows containing over 70 clear bead strings in total - making this a real full and quality looking product. 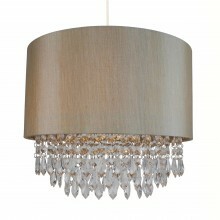 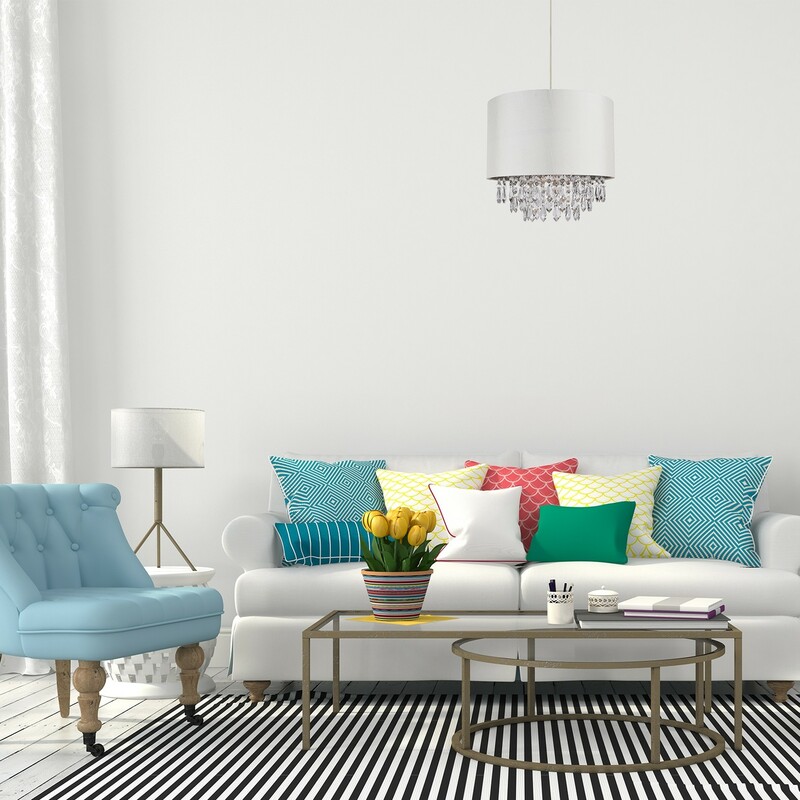 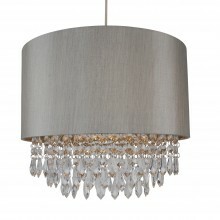 Ideal to add a touch of glamour and sparkle to your living room, bedroom or hallyway! 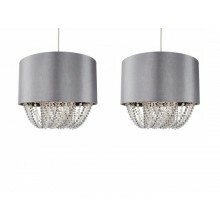 Easy fit - no wiring required - fits to your existing ceiling wire.